Castrol Enduron Low Saps SAE 10W40 208Lit. Castrol Enduron Low Saps SAE 10W40 20Lit. Castrol Enduron Low Saps SAE 10W40 5Lit. 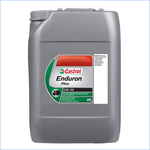 Castrol Enduron Plus SAE 5W30 208Lit. Castrol Enduron Plus SAE 5W30 20Lit. Castrol Enduron SAE 10W40 208Lit. Castrol Enduron SAE 10W40 20Lit. Castrol Enduron SAE 10W40 5Lit. Castrol Tection Global SAE 15W40 208Lit. Castrol Tection Global SAE 15W40 20Lit. 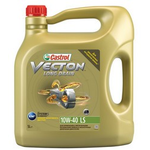 Castrol Vecton Long Drain Low Saps SAE 10W40 20Lit. Castrol Vecton Long Drain Low Saps SAE 10W40 5Lit.